Home / Registration-Blog / Fall 2016 Registration has Begun! Fall 2016 Registration has Begun! An undergraduate student’s first available date for registration (registration priority) is based on the number of semesters completed, or in other words, terms in residence. Once a student’s registration date is determined, a registration time for that date is randomly assigned. If you have questions about terms in residence or registration priority, we encourage you to consult the University Catalog. 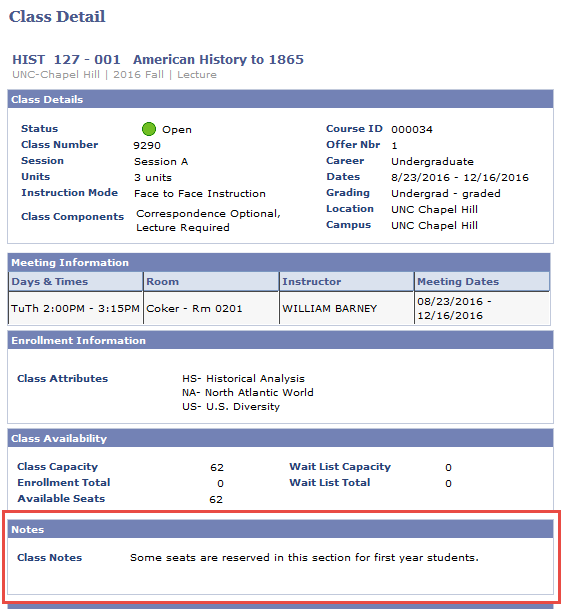 Teaching departments often use the class notes section in ConnectCarolina to communicate certain information about their courses to students. If you a question about class notes, we encourage you to reach out to the teaching department directly. Schedule Planner is a new class search tool with helpful schedule planning capabilities such as generating potential schedules which incorporate your classes and breaks. We encourage you to check out other helpful registration resources on our website: https://registrar.unc.edu/registration/ . We have quick tips, videos, and FAQ pages that will assist you with registration. Best of luck with registration!